The annual Senior Student Exhibition April 25-May 18 will conclude the Art Gallery season at Concordia University Wisconsin, 12800 North Lake Shore Drive, Mequon, along with two other student exhibits in adjacent galleries. 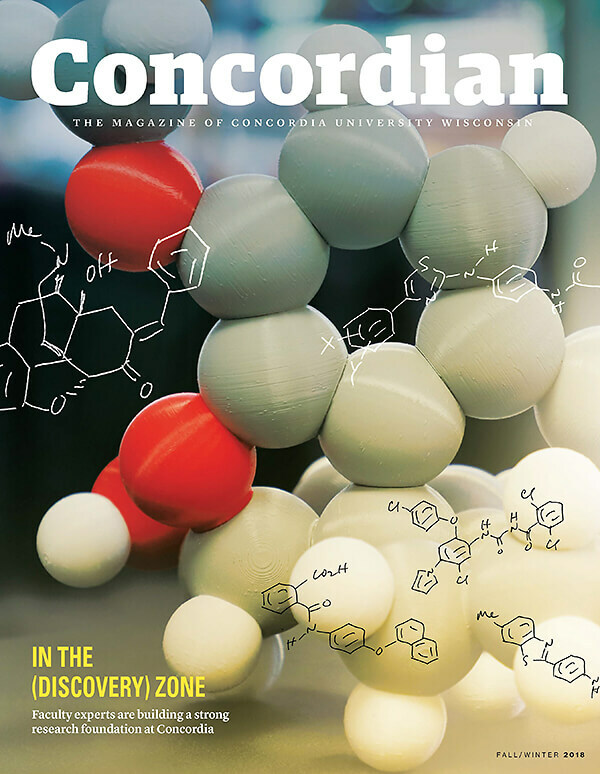 The latest issue of the Concordian features stories about the professors who are contributing to CUW’s vibrant research culture, five professionals at the pinnacle of their careers choosing to adjunct at Concordia, and the university’s record-breaking study abroad year. This list first appeared in the fall 2018 issue of the Concordian, the official magazine of Concordia University Wisconsin. Need an expert for a story? Looking for the latest Concordia news?